Kotlin, the open source programming language designed by JetBrains, is becoming increasingly popular among Java developers. It is often touted as Java’s successor. Compared to Java, it offers a richer development experience, because it is more modern, expressive, and concise. If you are looking for an alternative programming language for Android development, you should give Kotlin a try. It can easily be used instead of or alongside Java in your Android projects. 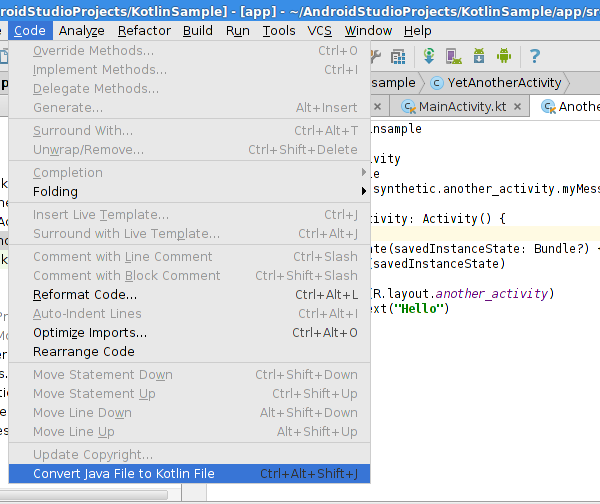 In this tutorial, I will show you how to use Kotlin and Kotlin plugins in your Android Studio projects. If you’re unfamiliar with the Kotlin programming language, then I recommend reading the Getting Started section of the Kotlin reference to get up to speed with the language. 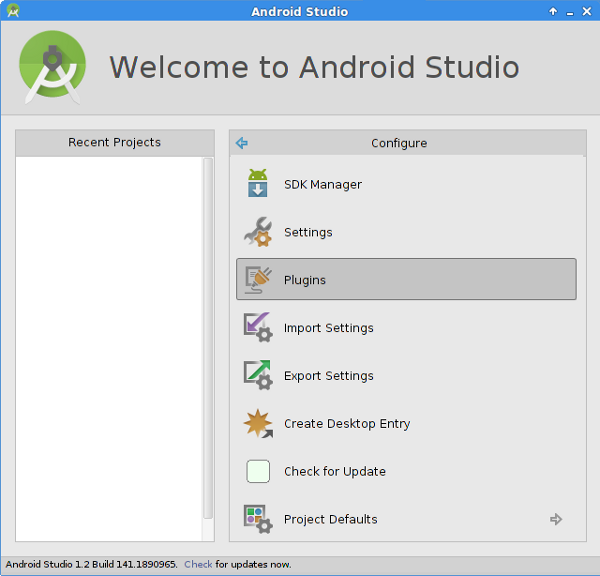 In Android Studio’s quick start menu, select Configure > Plugins. 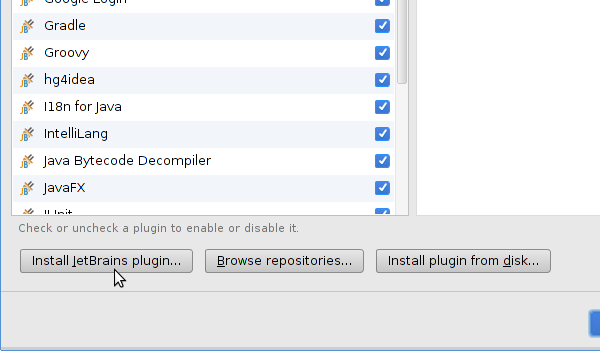 In the next screen, click Install JetBrains plugin… at the bottom. 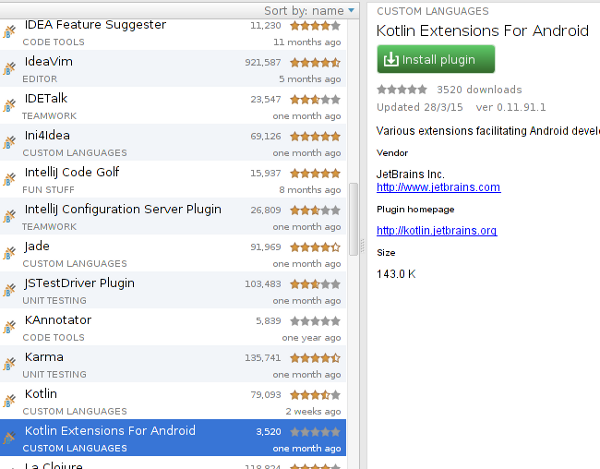 Select Kotlin Extensions For Android from the list and click Install Plugin on the right. Because the plugin depends on the Kotlin plugin, you will be asked to install both. Click Yes to begin the installation. 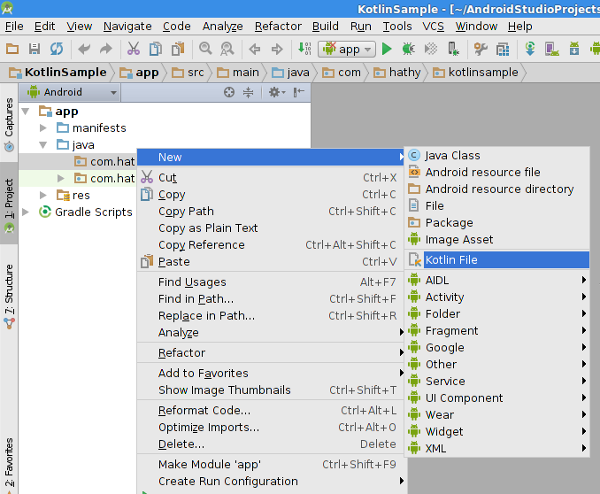 In Android Studio, right-click the name of your package and select New > Kotlin File. In the dialog that pops up, enter the name of the new Activity and select Class from the drop-down list. I’ve named my class MainActivity. Once the class has been created, you will see an alert asking you to configure your app module to support Kotlin. Click the link in the alert and, in the dialog that pops up, click OK to choose the default values. To configure your project to support Kotlin, the Kotlin plugin makes several changes in the build.gradle file. Apply these changes by clicking the Sync Now button as shown below. At this point, your project’s configuration is complete. Go back to the Kotlin class you created a moment ago to start coding in Kotlin. To keep the example simple, I will be showing you how to create an Activity with a single TextView that displays a String. Make sure your class is a subclass of Activity and override its onCreate method. Of course, you have to do that in Kotlin. If you are new to Kotlin, I suggest you use Android Studio’s code generation functionality by pressing Control+O to get the method signatures right. Create an instance of TextView as an assign-once local variable by using the val keyword. Call its setText method to set the String you want to display and then call setContentView to display the text view. You can now compile and run your app on your Android device or emulator. While the Kotlin compiler is slightly slower than that of Java, you are unlikely to see any significant change in your project’s build time. The Kotlin Android Extensions plugin lets you treat the widgets you define in the layout XML of an Activity as if they were properties of that Activity. In other words, if you use this plugin, you will never have to call findViewById. These properties are aptly called synthetic properties. 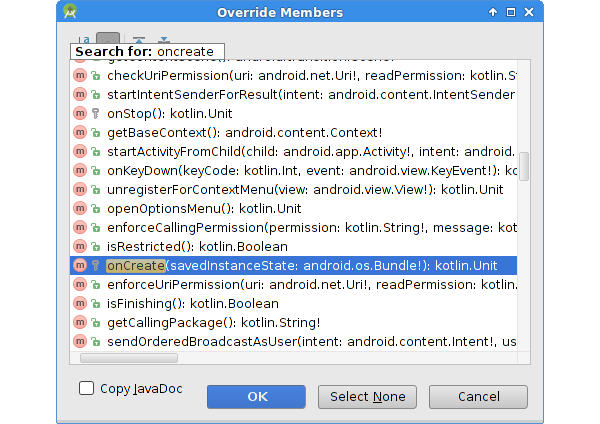 To use this feature in your app, you need to add org.jetbrains.kotlin:kotlin-android-extensions as a build script dependency in your app module’s build.gradle as shown below. Don’t forget to click the Sync Now button to sync your project. Let’s now create an Activity similar to the one we created in the previous step, but use a layout XML to define the TextView. Create a new layout XML file named another_activity.xml. In the layout XML file, define a TextView with an id of myMessage. Call setContentView in the onCreate method to use the layout XML you just created as the layout of this Activity. You can use the Kotlin plugin to convert existing Java classes to Kotlin classes. To try this feature, create a new Java class with the following implementation. It’s a simple Activity that logs the sum of two integers. Convert the Java class to a Kotlin class by pressing Control+Alt+Shift+J, or, from the menu, selecting Code > Convert Java File to Kotlin File. You will also notice that the file’s extension has changed from .java to .kt. To learn more about Kotlin, I recommend browsing the Kotlin reference. The Getting Started section will help you get up to speed with this new language.